Risotto is a staple in our house. It’s simple to make, cheap and filling. My ‘technique’ was learned from TV Chefs. Jamie Oliver comes to mind. You soften the onions in butter and olive oil, you add the white wine, then the rice and slowly, slowly the stock. That’s how you make it right? Well let me tell you this is not the way. Nope. This is not the way I will make it after having attended a masterclass with the Michelin star rated Christian and Manuel Costardi – also known as The Costardi Brothers. The brothers are from Piedmont in Italy. Half the rice grown in Italy comes from Piedmont which is why it’s full of rice paddies. Not an image you’d associate with Italy at all. 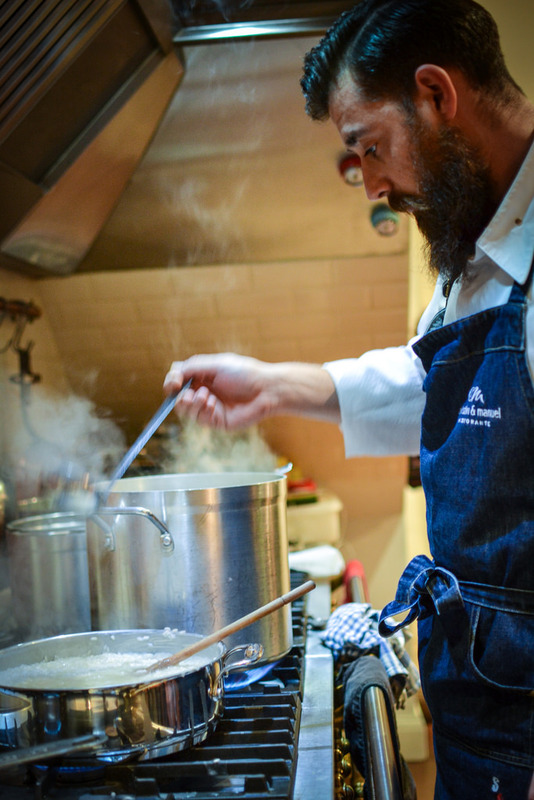 The Costardi Brothers are based at Hotel Cinza in Vercelli and it’s here that they pay homage to risotto in the “land of rice” at their risotteria. What I like most about risotto is that you can customise it in endless ways. So many combinations. So many toppings. Our current favourite is the ‘Fiorentina’ our family’s made up name based on the pizza in Pizza Express. It’s a spinach risotto topped with a poached egg. Lemon risotto topped with thyme croutons, beetroot and cumin risotto topped with beetroot crisps or pickled beetroot and Burned Onion Risotto are other favourites. I thought we’d tried them all until I was invited to this masterclass to make a Parmesan and Coffee Risotto. I was very intrigued about the coffee. Christian demonstrated the dish from start to finish in 15 minutes. He starts with the rice into a hot pan. No oil, butter or onions. After a little gentle heating he adds seasoning. This is the time when it’s best absorbed in his view. After that it’s a high heat, ladles of stock and stirring. Fast, rhythmic stirring to release the starch in the rice. Once the rice is ‘al dente’, he takes it off the heat and adds the butter. A lot of cold butter. The colder the better. And then the grated cheese which in this case was a 27 year old Grana Padano. What makes this a Michelin star worthy dish is the base of Grana Padano sauce the risotto sits on, the drizzle of beer reduction and of course the coffee sprinkled over the top. The drizzle adds a sweet texture over the creaminess the bitter coffee just slashes through the rich dish. Bloody brilliant is what it was. 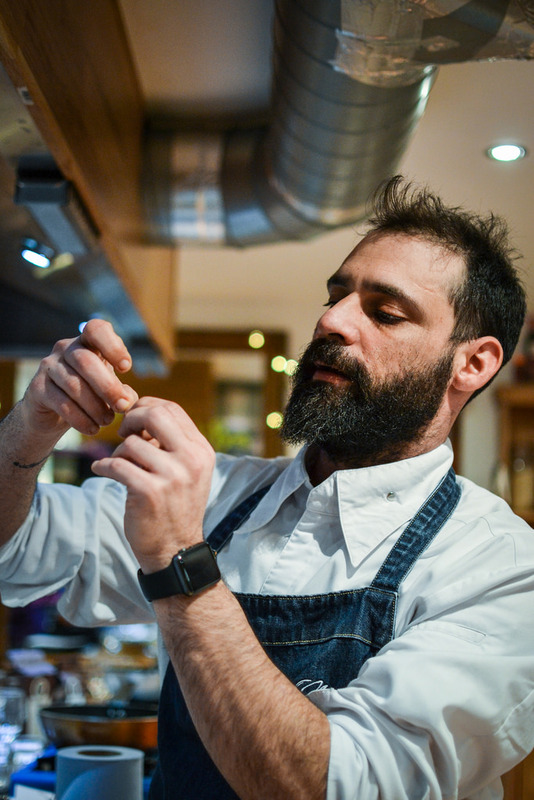 The Costardi Brothers serve 27 different rice dishes on their menu at Hotel Cinza. This is one of them and the recipe is available on the Great Italian Chefs website along with lots of others that look pretty cheffy but when you break them down like this one, they really are very achievable. I rather like the Garlic and Chilli Risotto and the Asparagus Risotto. 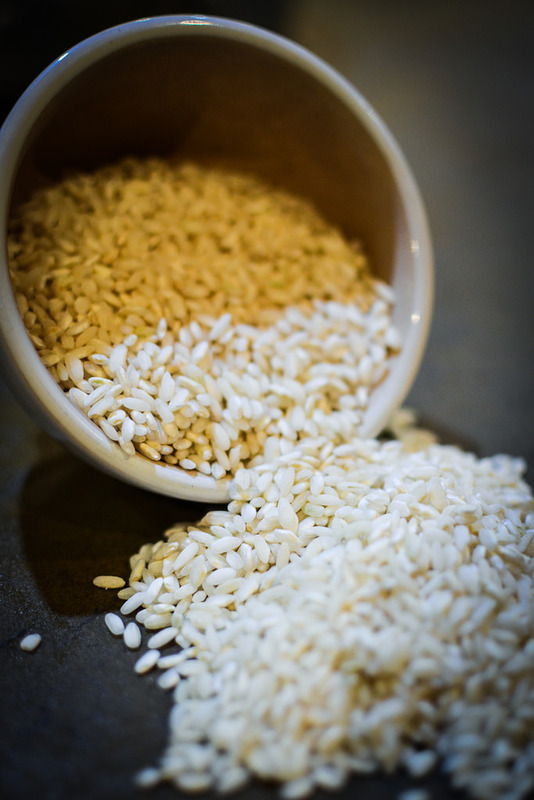 All the Costardi Brother recipes use Carnaroli Rice vs arborio rice. This is grown near Vercelli and has a firmer texture and higher starch content. You can buy it in supermarkets so it’s worth seeking out. I’m a convert. Thank you to the team at Great Italian Chefs and Great British Chefs for inviting me to attend this masterclass. It was a fun evening that’s changed the way I cook risotto forever! Sounds like a wonderful class. And I agree about carnaroli rice, I like it very much. I adore blue cheese in a risotto. Sounds fabulous, I will definitely seek out the Carnaroli rice. So many revelations there Urvashi, totally different to how I would usually make risotto but it sounds amazing! 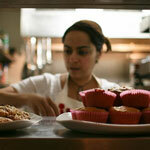 Its always brilliant to watch an excellent chef at work, you learn so much! Thanks for sharing – I will try this method next time I make risotto. 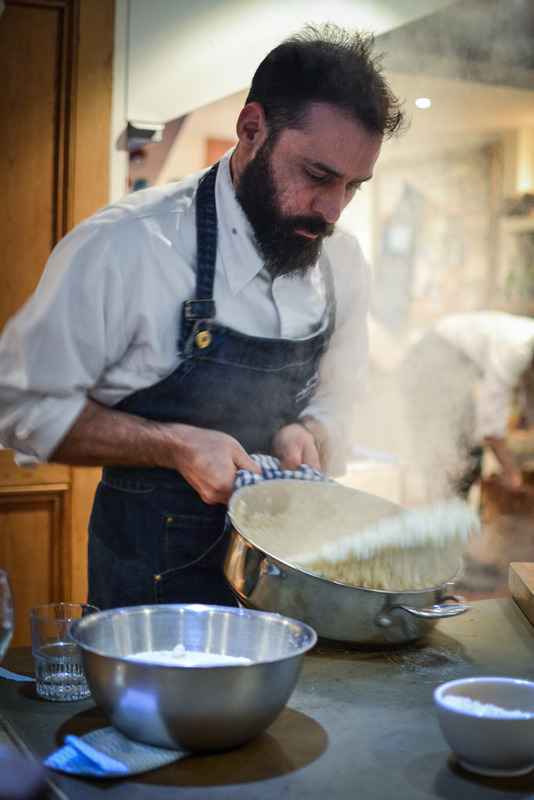 I have never tried making risotto at home, but I would love to attend a masterclass to learn. Sounds like you had a great time!